Unfortunately, for many iDevice users having issues with iMessage is not a rare thing. Since this is a very popular and convenient way to stay in touch with your contacts, not being able to use it can be a big hassle. The truth is that is hard to identify what is the exact reason why iMessage would stop working all of the sudden. It may be due to incorrect configuration, issues with Apple’s servers or anything else and just as there are diverse causes, there is a wide range of possible solutions. If you are experiencing issues with iMessage, you may need to try many different things before being able to fix it. For some users, there are simple solutions that have helped, such as getting rid of old texts and restoring the iPhone. Other were able to solve their issues with iMessage by setting the date to auto-updates. In order to do this, you just need to go to Settings, then General, select Date & Time and turn on Set Automatically. Hopefully, you would be able to sort iMessage on the first attempt but if not, do not give up, we will give you a list of other options that may work in your case. Occasionally, this simple solution is all you need to fix iMessage. 1. Simply go to Settings, then Messages and switch iMessage off. Make sure that you are connected to an active network, then turn it on and wait until the activation is completed. 2. Try sending an iMessage to someone who is using this feature. 3. In case this does not work, you can try again turning on and off iMessage, after signing out of Apple ID – in Send & Receive – and signing back. Since iMessage requires a network to work, a weak connection – or no connection at all – may cause failure to send or receive messages. If you are using a Wi-Fi connection, ensure that you are near the router or source. For 3G networks, you may need to restart the connection if you are having issues. Proxies may also have an impact in the network and may also be the reason why iMessage is not working. 2. Your number and associated Apple ID will appear listed and you can modify these. 3. By trying different adjustments, you may be able to fix iMessage. You can try removing the email ID and leaving just the phone number. Alternatively, you can select email or iPhone to check if iMessage works again with any of them. Lastly, you may select a email and a phone number. In “Start Conversion from”, you can select your phone number. 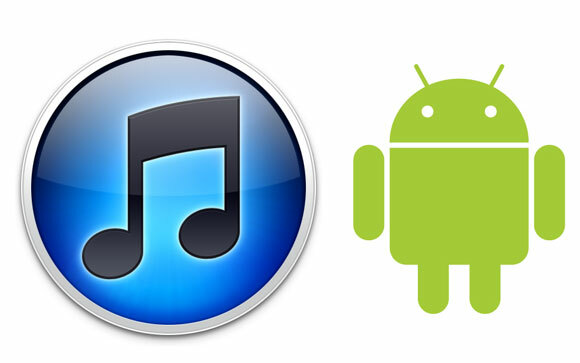 Is it possible to access iTunes in Android devices?